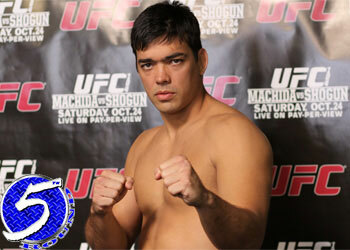 After nearly seven long months, light heavyweight champion Lyoto Machida will finally get the opportunity to avenge his controversial VICTORY over Mauricio “Shogun” Rua when the Brazilians meet tonight at UFC 113. The verdict was so questionable, it prompted UFC president Dana White to schedule an immediate rematch. While the champ wasn’t upset a second scrap was arranged to determine, once and for all, who the world’s best 205-pounder is, he took exception to White’s constant reminders – to anyone and everyone that would listen – that he too believed Shogun was slighted. “I know we’re cool,” White White told MMAFanhouse of his relationship with Machida. “I’m sure he’s not happy that I scored it for Shogun. Look, I’m always gonna be honest with who I thought won and who I think didn’t and that night I couldn’t tell ya. It’s understandable for Machida to feel as though his boss doesn’t have his back, however “The Dragon” needs to remember that White is a promoter first and foremost. How could he possibly sell a rematch to fans if he didn’t believe (or at least act like) it was unquestionably warranted? Although Machida has perfected his elusive style en route to capturing a perfect 16-0 professional record, White believes the champ – and the challenger for that matter – will be out to prove a point inside the Bell Centre in Montreal, Quebec, Canada.